Read the news and events of Altitudo, or follow us on our social channels on LinkedIn, Twitter, Facebook, Vimeo! “Altitudo in the (double) Spotlight”. Due nomination, due premi portati a casa dal Microsoft Inspire di Las Vegas! 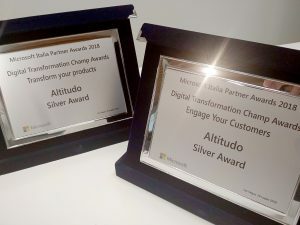 Altitudo at #MicrosoftInspire with two nominations for the annual Microsoft Awards: Industrial IoT and Customer Engagement without limits. Journey in preparation: the Altitudo delegation will be present at the Microsoft Inspire in Las Vegas from July 15th to the 19th for the world Microsoft Partners conference. 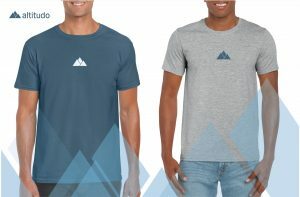 ​The new Altitudo t-shirts are the perfect outfit for your fresh summer. Two colors, trwo flavours, Youtuber proof.